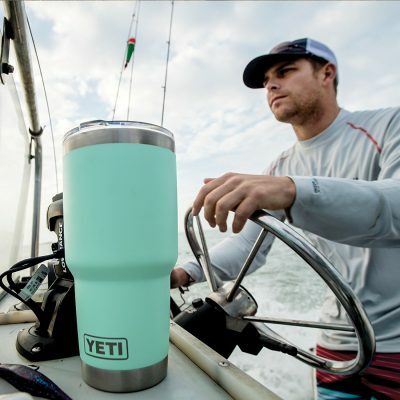 The 30 oz Yeti Rambler in Seafoam, one of the many Yeti Tumbler Colors. 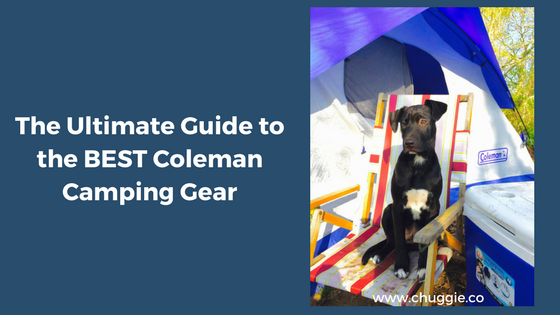 So far, we’ve touched on the best camping coffee mugs and the best insulated cups for cold drinks. Unsurprisingly, most of them are stainless steel. Stainless steel is so important that anything included in “The Best Stainless Steel Tumbler Cups” is composed of it. Stainless steel lasts for a long, long time. It’s also the safest material, as it doesn’t have BPA and other chemicals found in plastic. You’ll reduce your carbon footprint, since you’ll be drinking from your stainless steel tumbler over and over again. 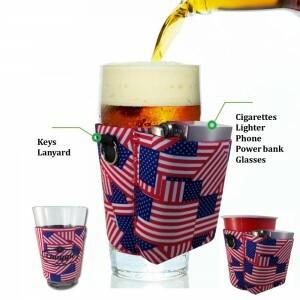 Additionally, your drinks will stay cold or hot longer than plastic tumblers. Rest assured that we’re only showing you the best of the best. Each tumbler had to meet our high standards. 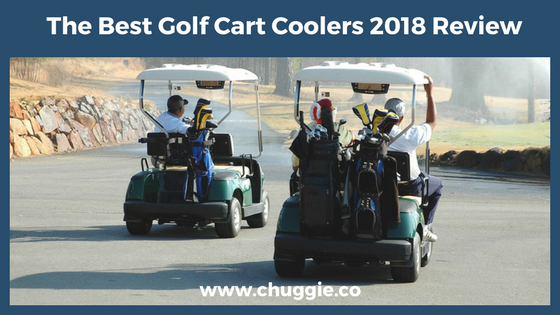 This means that each one is made from 18/8 food-grade stainless steel, is double-walled and vacuum-insulated, and sweat-proof. Let’s find the best stainless steel tumbler for you. You might not be familiar with the Cold-1 brand, but their stainless steel tumblers are hidden gems. Our favorite size is the 34oz because, well, who doesn’t want four more ounces of coffee? The Cold-1 Insulated Tumbler 34oz is a favorite largely because of its “three in one lid.” You can sip it from a straw or drink the traditional way. It can be a lot easier to sip from a straw, plus liquid doesn’t collect on the lid as much as lids without straws. Walmart’s line of Ozark Trail Insulated Tumblers has been controversial recently, since Yeti sued them for copyright infringement. 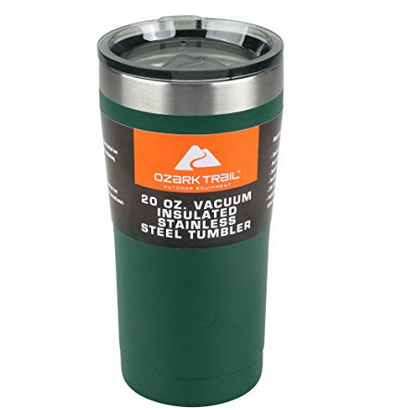 In fact, Ozark Trail Tumblers are just as good as Yeti’s tumblers, but much cheaper. That being said, Walmart will likely have to design a new tumbler, once the lawsuit is settled. We expect nothing but the best from Walmart, if they do end up having to revamp their tumblers. 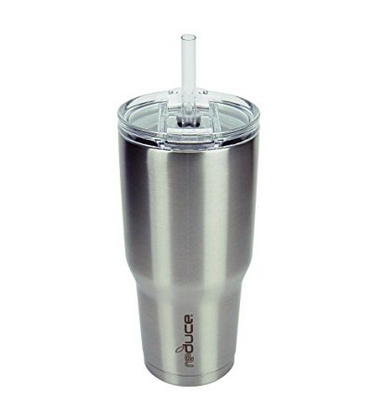 We’re sharing this sleek, stainless steel tumbler with you for more reasons than the handle. 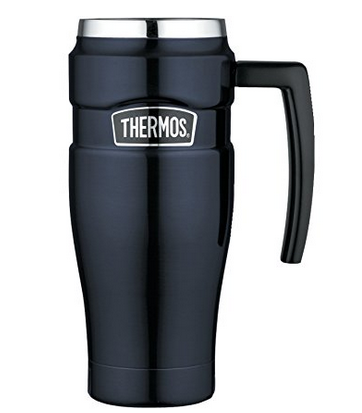 Even without a handle, the tumbler’s exterior is perfect for holding directly. When you have a cold drink, you won’t have to deal with that slippery foam of moisture. And when your drink is piping hot, the outside of the tumbler will be cool to the touch. The icing on the cake? This “king” of tumblers also has a built-in tea hook. As we’ve come to expect, Yeti delivers high quality products. 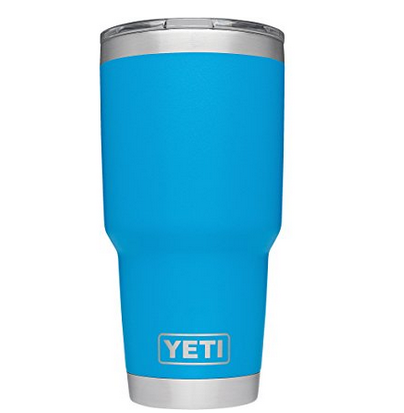 The Yeti Rambler Tumbler 30oz is no exception. The Yeti Rambler Tumbler is available in four different colors: Black, Seafoam, Taho Blue, Olive. And of course, you have the option of having the classic stainless steel look. Also included is a clear plastic lid with the “YETI” brand name printed on it. In addition to the Yeti Rambler Tumbler, you should check out the Yeti Rambler Colster and the Yeti Rambler Lowball. 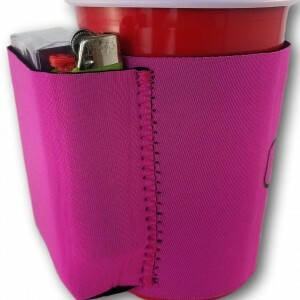 They’re a great addition to your collection, and are among the best insulated cups for keeping drinks cold. 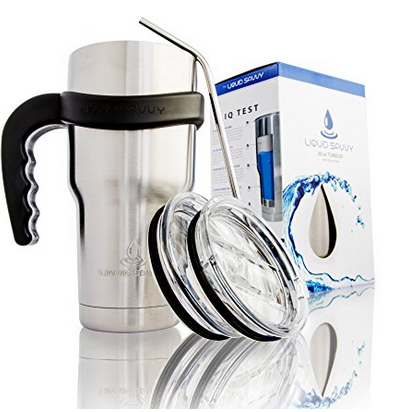 This is one of the best stainless steel tumbler cups that comes with useful accessories. 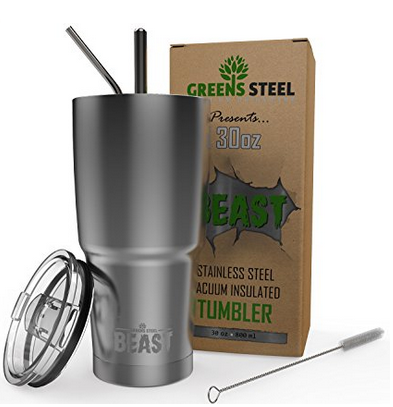 As the name says, the Beast Tumbler Package is a fantastic gift idea. But it’s also perfect for anyone who wants everything in one go, rather than buying all the separate parts. But that’s not all. Both the lid and tumbler itself are dishwasher safe. This really sets it apart from the others! Also, the Beast Tumbler comes with a lifetime warranty. The Beast Tumbler Gift Bundle is awesome, but why stop there? Liquid Savvy provides some of the best stainless steel tumblers on the market today, but then it goes the extra mile. An added bonus is that the handle fits other tumblers, like Ozark Trail, Magnum Steel, Yeti, and RTIC. It’s amazing how cheap this bundles is; you can get it for less than $20! Just one of Orca’s many color combos. 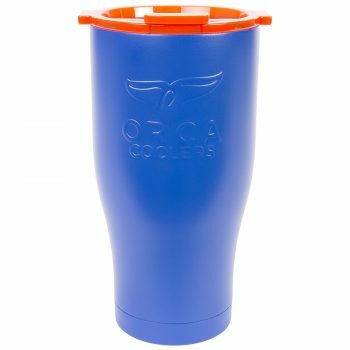 Like all of the best stainless steel tumblers, Orca Chasers work well for both cold and hot drinks. It features a Orca’s unique Whale Flip Top Lid and a microplate finish. Our favorite part, though, is the color selection. Not only can choose from about 20 colors, but you also have the option of an Orca College Chaser. 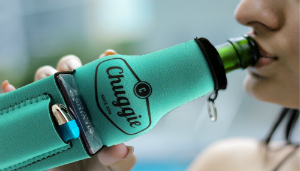 If you’re full of team or college spirit, you’ll love showing it with your customized chaser. 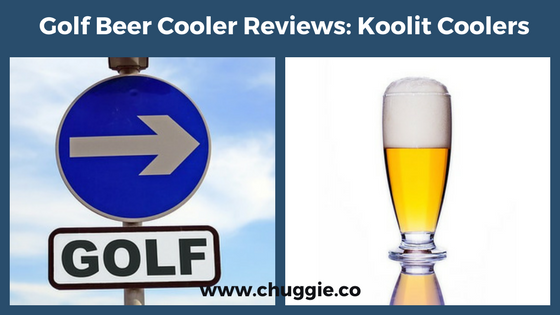 Whether you decide on a pricey Yeti Rambler Tumbler or a cheap Ozark Trail, we think you’ll be satisfied. 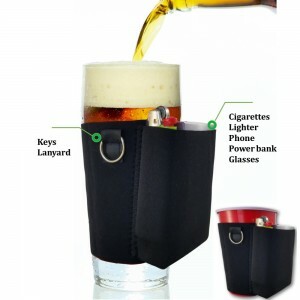 Since all of these are composed of double-walled stainless steel, your drinks will stay hot (or cold) for a long time. 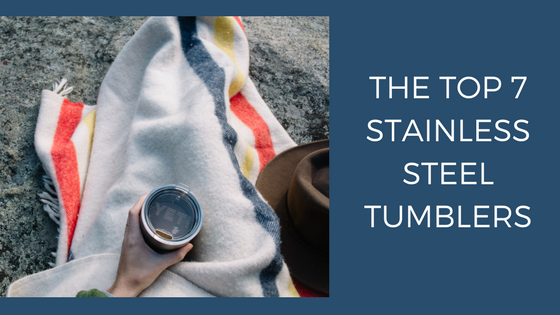 If you decide to go with another tumbler, make sure it’s 18/8 food-grade stainless steel, is double-walled and vacuum-insulated, and sweat-proof. These are the qualities that set them apart from plastic or glass containers.